Woolly lamb snuggly comfort blanket personalised with a name of your choice. Woolly lamb snuggly comfort blanket personalised with a name of your choice. 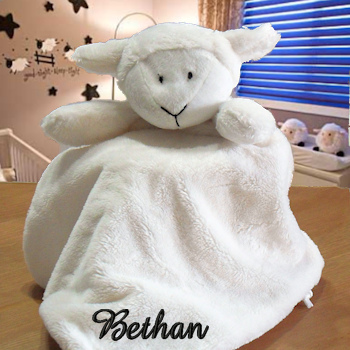 Super soft and snuggly baby sheep comforter with ears and arms to grasp. Zip compartment in main body allows the comforter to be padded out as a soft toy or could store other small favourite soft toys. Woolly lamb snuggly comfort blanket personalised with a name of your choice. Super soft and snuggly baby sheep comforter with ears and arms to grasp. Zip compartment in main body allows the comforter to be padded out as a soft toy or could store other small favourite soft toys. Very tactile plush comforter, a super companion and gift for baby. Fabric made from easy care soft polyester. Machine wash warm and tumble dry on low. 25cm approximate size. 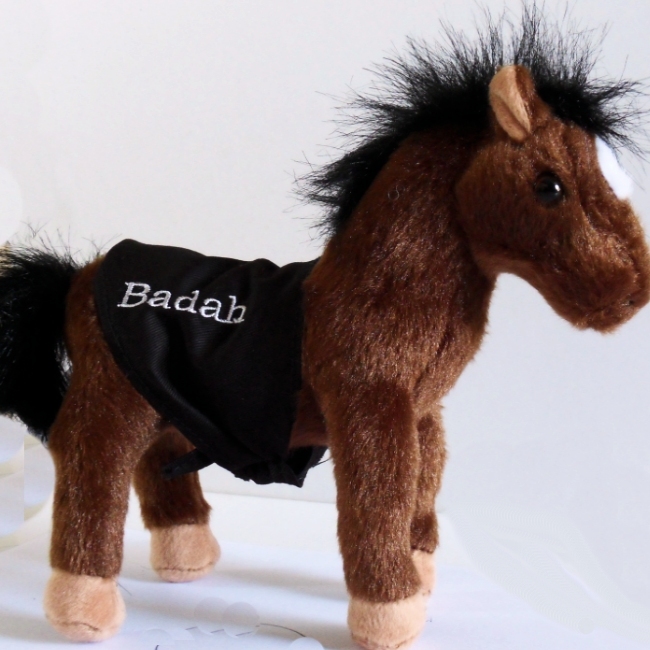 Personalised with embroidered name or nickname in your choice of letter font style and thread colour.